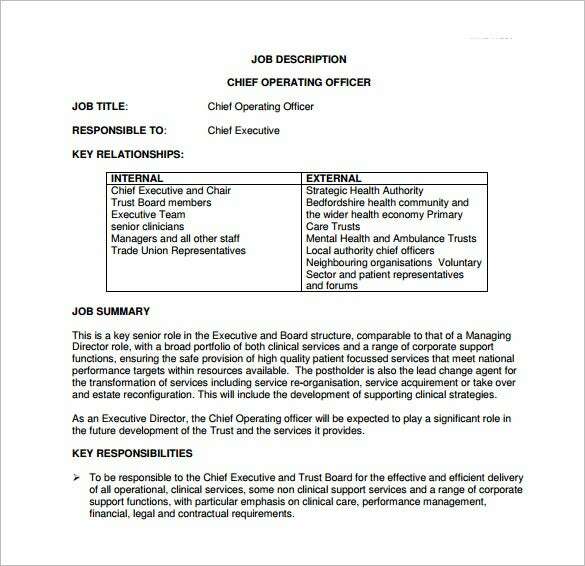 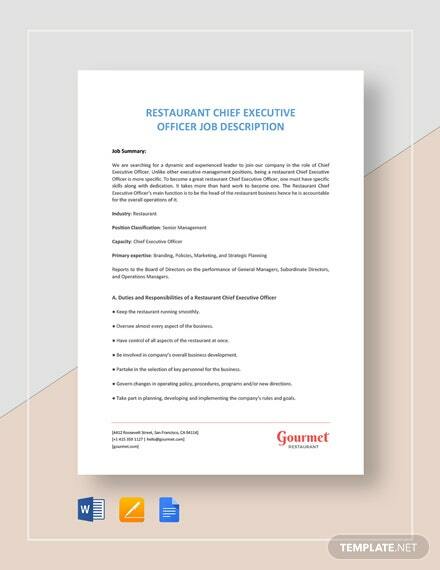 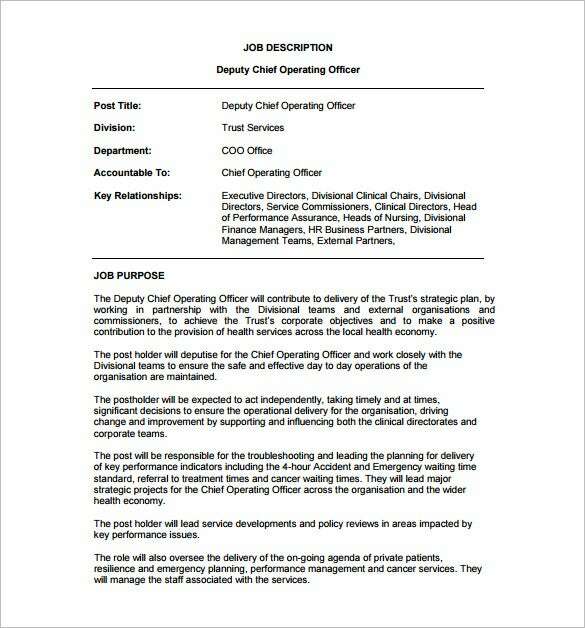 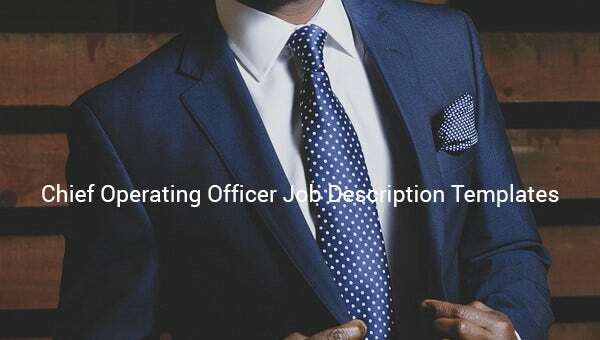 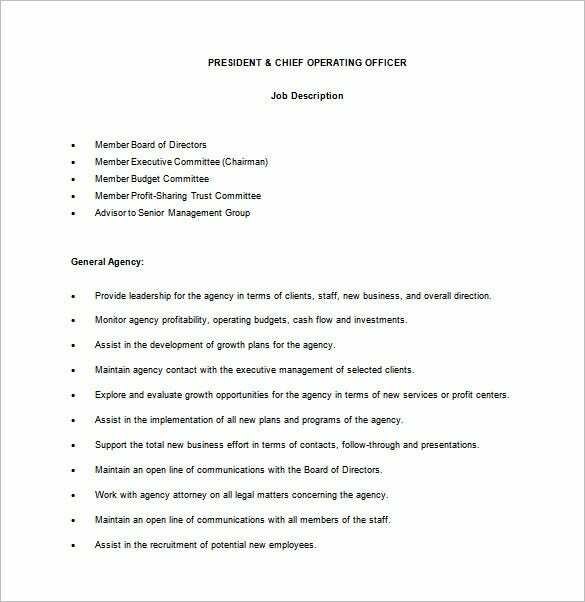 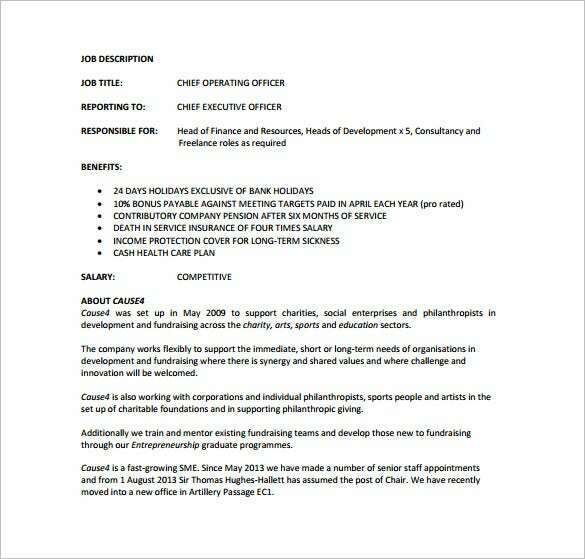 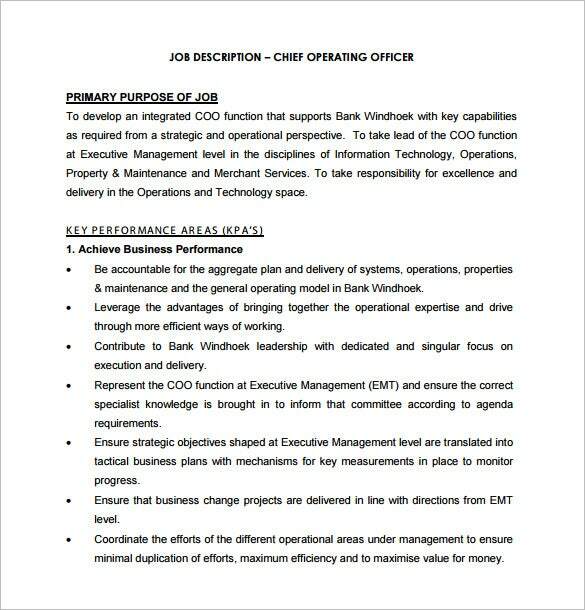 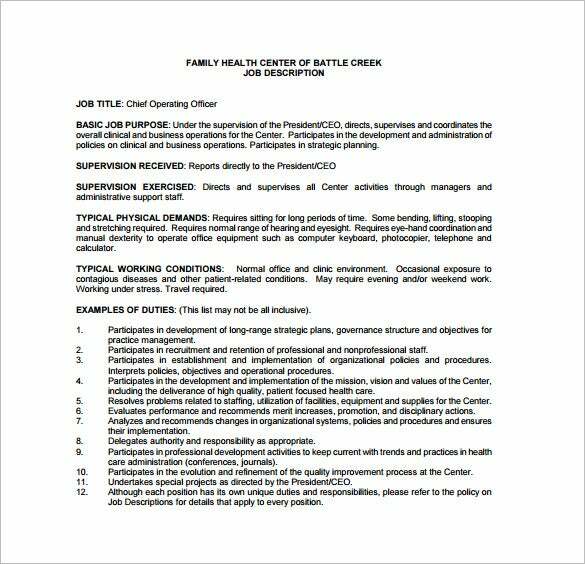 Chief Operating Officer Job Description Template – 9+ Free Word, PDF Format Download! 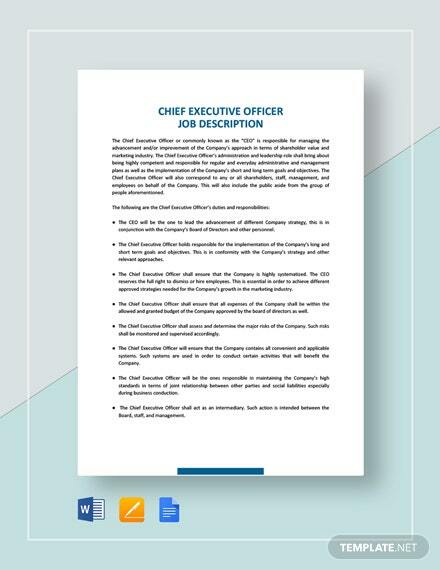 The chief operating officer is charged with the responsibility of unique leadership and management practices in an organization. 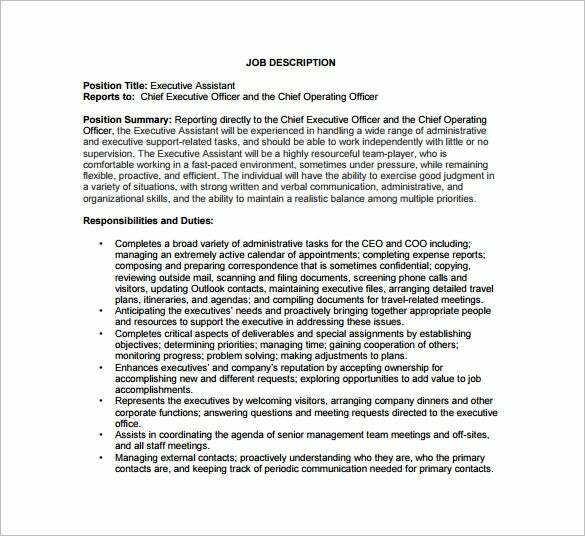 You may also see Job Description examples.